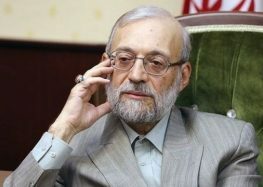 While the number of executions related to drug trafficking has startlingly increased in the recent months in Iran, a foreign diplomat told the International Campaign for Human Rights in Iran that Javad Larijani, Chief of the Iranian Judiciary’s Human Rights Council, has expressed in his meetings with foreign authorities that the policy of executing drug-related criminals has been unsuccessful, and that capital punishment has not reduced drug-related social maladies. According to the diplomat, Larijani also confirmed the executions in Mashad’s Vakilabad Prison, but claimed that the number of executions is “less than what has been reported.” Using reliable sources, the Campaign has published news about secret executions in Mashad. The executions have taken place regularly over the past year inside Vakilabad Prison. The lack of attention paid by Iranian authorities to the economic and social roots of drug use and distribution, and the widespread executions of the past several decades have not been successful and the Campaign fears a further increase in secret executions that violate judicial principles. Informed sources told the Campaign that the last round of group executions, unannounced by the Iranian Judiciary, took place on 20 December where 10 prisoners were executed. Previously, the Campaign published news of two group executions which took place on 5 October and 12 October 2010 inside Vakilabad Prison. On the two dates, a total of 23 prisoners were hung. Informed sources from Mashad told the Campaign that 13 inmates were hung on 5 October and 10 on 12 October, without prior notice. The executions were carried out without regard for the laws of the Islamic Republic of Iran and without a fair trial. The executions were carried out without the knowledge and presence of the suspects’ lawyers and families and even without prior notification of those executed. During an interview last Tuesday, the Qom General and Revolutionary Courts Prosecutor told the Islamic Republic of Iran’s News Agency (IRNA) that eight drug traffickers had been hung inside the Central Prison of Qom. Mostafa Barzegar Ganji said that these individuals’ were charged with trading drugs. He added that each of the individuals had twice requested clemency, none of which had been granted. Their death sentences were carried out after the Prosecutor General upheld the sentences. Ganji also reported of execution orders for 16 other drug traffickers in Qom. “These 16 individuals have previous records in buying and selling drugs, and their death sentences have been confirmed by the Prosecutor General,” he said. “These drug traffickers had also each requested clemency once, and their requests have not been granted. If their next requests for clemency are not granted, either, soon their sentences will be carried out and they will be hung,” Ganji added. “The penalty for trafficking and trading more than 30 grams of crystal meth, just like other psychedelic substances such as crack and heroin, is execution. The public will also soon be informed of the process for dealing with drug addicts, camps, and confiscation of the assets of drug trafficers,” Ganji added. Although some executions of drug crimes suspects are announced by the Iranian Judiciary, considering the secrecy surrounding the executions inside Mashad’s Vakilabad Prison, the Campaign identifies the true number of executions taking place in Iran to be higher than official statistics and demands that judicial authorities state the truth about the actual number of executions. The International Campaign for Human Rights in Iran regards Javad Larijani’s statement about the failure of intensified punishments for drug-related crimes, and the execution of drug-related offenders, as the Iranian Judiciary’s insistence on continuing its flawed judicial practices which can only lead to even more executions in Iran. Iran has the highest per capita rate of executions in the world.